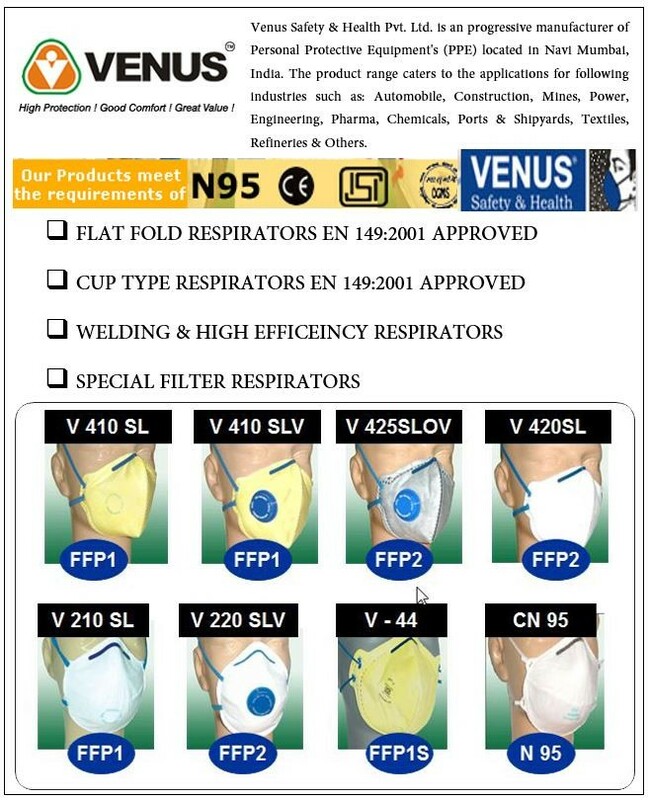 Venus Safety & Health Pvt. Ltd. is an progressive manufacturer of Personal Protective Equipment's (PPE) located in Navi Mumbai, India. The product range caters to the applications for following industries such as: Automobile, Construction, Mines, Power, Engineering, Pharma, Chemicals, Ports & Shipyards, Textiles, Refineries & Others.